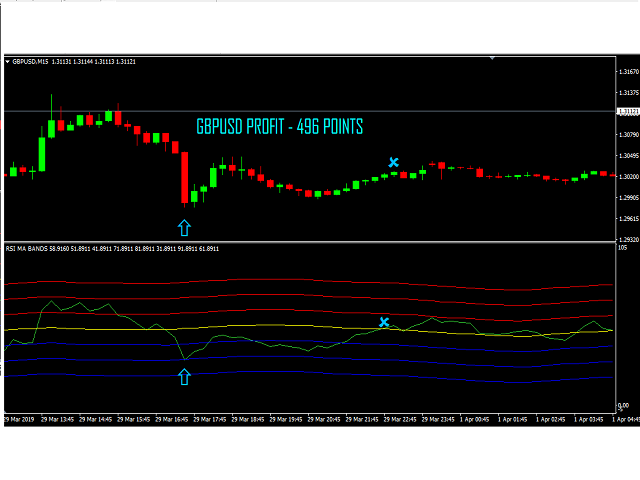 This Indicator is build on value of Relative Strength Index and Moving average of relative strength Index. 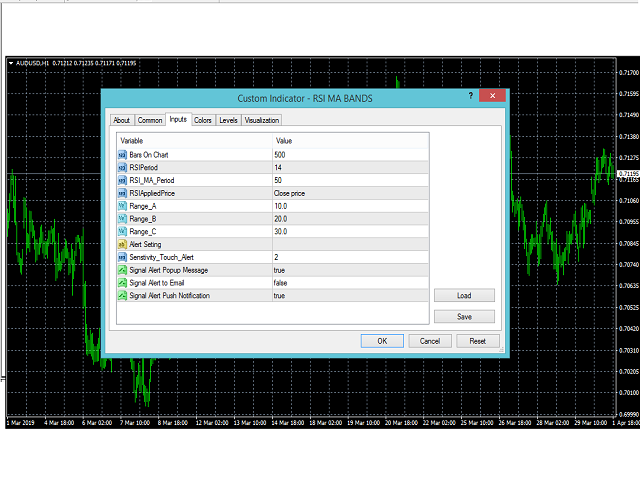 We have calculated bands with respect to Moving average of Relative strength Index. Why use Rsi Ma Bands? 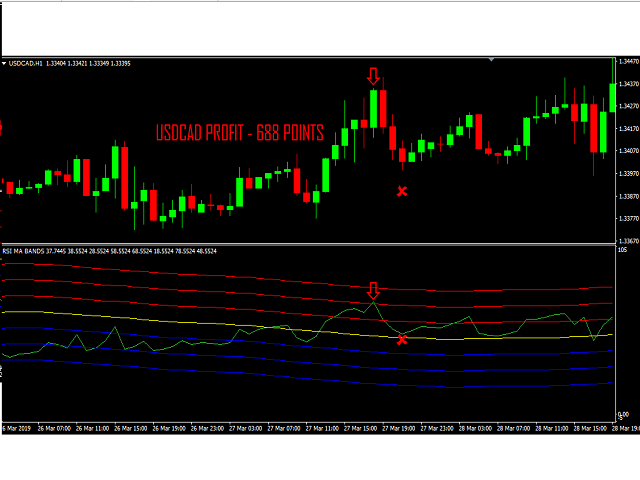 It is perfect for scalping trend reversal trades. 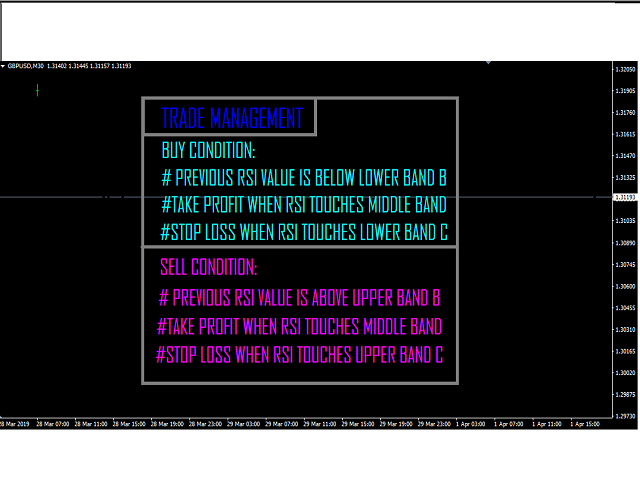 *last rsi value is below lower band B. *takeprofit when rsi touches middle band. 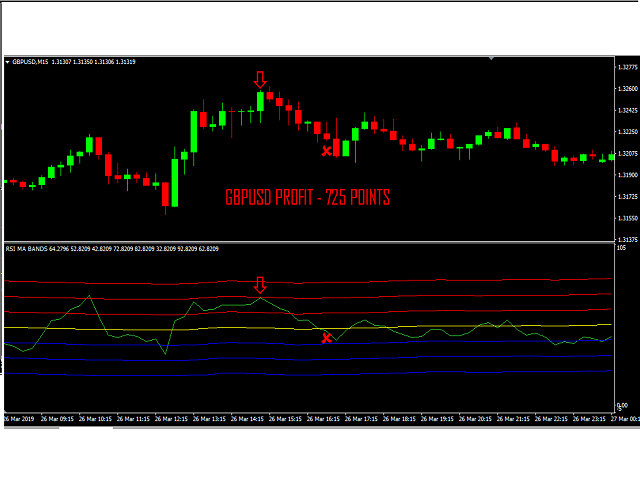 *stoploss when rsi touches lower band C.
*last rsi value is above upper band B. *stoploss when rsi touches upper band C.
*Alerts pop up when rsi reaches any of the bands with pip sensitivity parameter. 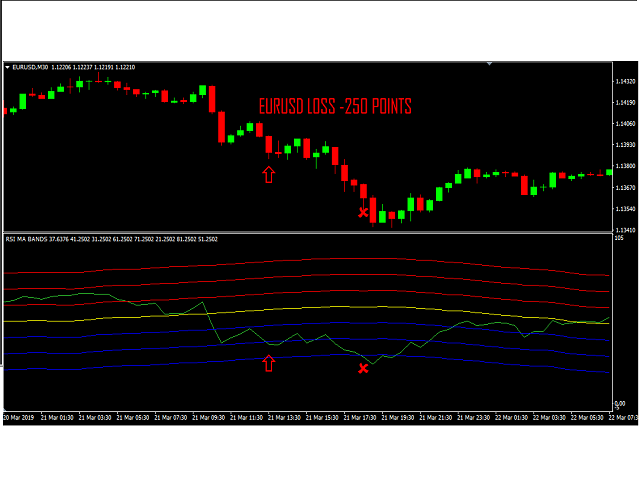 *We can find dynamic trend reversals of rsi. *We can predict next candle close. 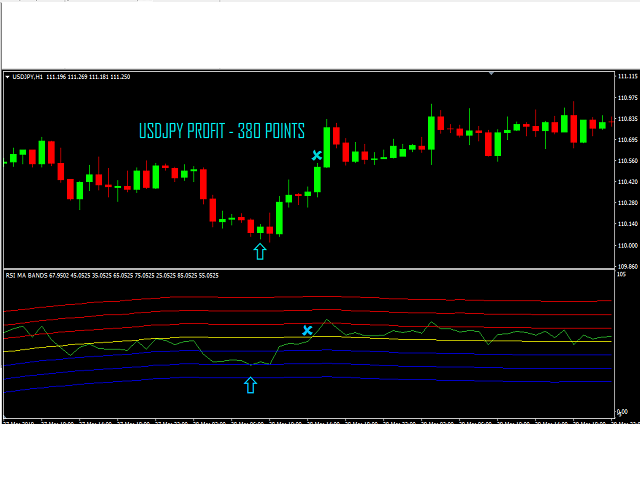 *We can predict bullish/bearish divergence. *All external parameters are given for customization of users. i.e)check screenshot for details. *Dynamic Oversold and OverBought region. Made an update on display lcon/logo.